A little over-extracted this time, will try with a slightly more coarse grind next time. Used the Porlex hand-grinder, then a kitchen sieve to remove the giant-sized grounds. Simon brewed using a 5.8 : 100 ratio of coffee:water. 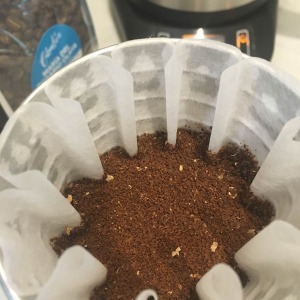 Read more about Sample Coffee’s Colombia Maria Del Rosario Olaya coffee, including other brew notes for this coffee. 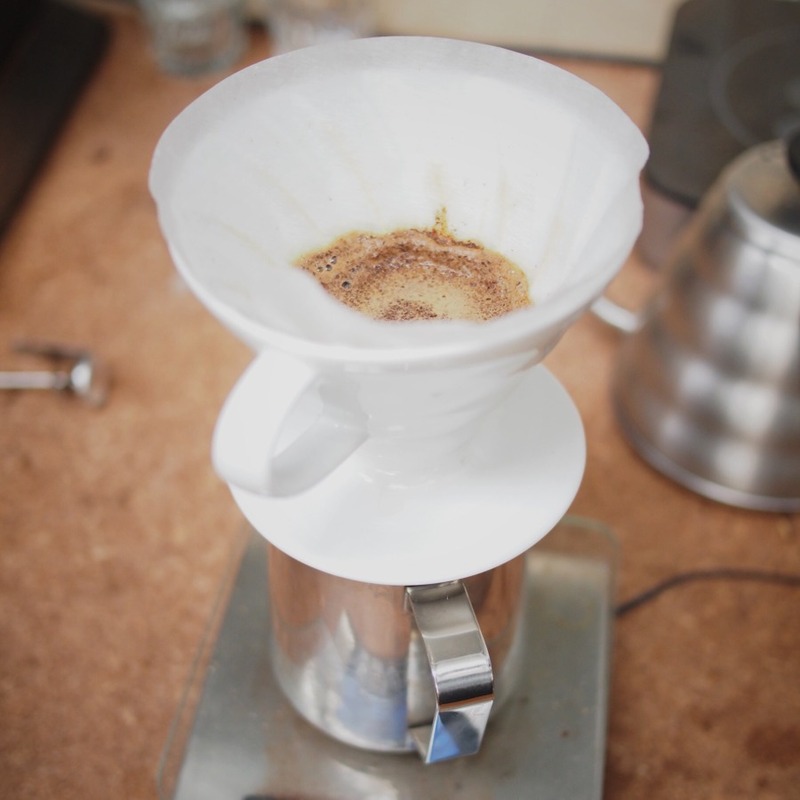 A rich yet balanced brew, tropical flavours and a lingering toffee-like sweetness. Delicious.